The Ugandan Martyrs in the 1880’s from both the Roman and Anglican Churches were executed for resisting the homosexual advances of the country’s king. The cardinal needs to refresh his historical memory. The homosexual population has existed in every culture and time sometimes celebrated, sometimes persecuted. It was not due to European Decadence or Colonial Exploitation. Thank you for this Phillip. It is an excellent summary of why this Conclave must thrash through to the truth…..But I’m not holding my breath to long, there are so many picks who wear their red beanies for their loyalty, not their witness to Jesus’s teachings. Am I correct in thinking that we are both holding out for the same 3 pababile? Tagle, Ravasi, or Schonborn? I really appreciate the thoughts in this blog post. I completely agree with the “world changing constantly” theme and how Pope Francis really needs to address them. Like what theologians concerns of today, such as Shane Claiborne’s, is that the church is changing and I think there needs to be a much more dramatic change to the pace of how the church is teaching in this modern world. I would like to add my concerns about practicing catholics as well. Why is it that there are more Catholics abandoning their faith in the world today? It is not the church’s fault is it? “orthodoxy” (as Ratzinger, Weigel, and many other on the ecclesial right would have you believe) but rather, a form of spirituality that is no longer seen as being relatable to the message of Jesus crystallized in the Gospels that most Catholics find so heartening. 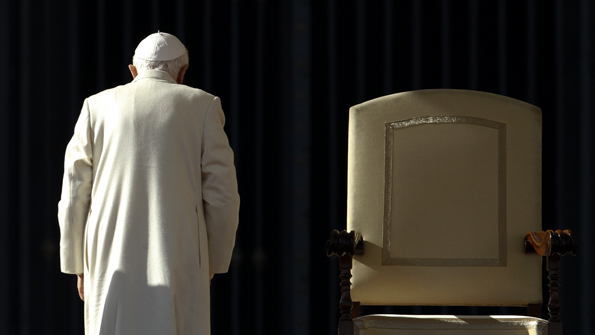 Hopefully, Pope Francis will continue to work to bridge this credibility gap.